Browsing Holland and Barrett, I come across this face mask. I've wanted to try the Peter Thomas Roth Pumpkin Enzyme Mask but decided grabbing this one would be quicker. With Pumpkin, Aloe Vera, Sunflower Oil & Manuka Honey being the top 4 ingredients and glycolic acid being 8th on the list, I have a feeling it's not going to be very strong in strength to make a difference from what I've read the acid needs to be around 6 to 10% in concentration for it to be effective, therefore with it being so low down on the list, I don't think it'll be the main effective ingredient. - Vitamin C: dramatically improves surface pigmentation, uneven tone, and dark spots caused by sun damage and over-stimulation of melanin. Invigorates dermal circulation and cell turnover, boosts collagen and elastin, and fortifies skin's immunity to defend against free-radicals that can age skin prematurely. - Glycolic Acid: AHA gently dissolves intra-cellular glue to exfoliate dead cells and impurities. What is great about this is the fact it's got Manuka Honey within the ingredients which is good for it's anti-inflammatory, antibacterial & antioxidant benefits. For this to be of any benefit the Manuka Honey must be 15 and above for this to be active. As there's not indication of that on the website / ingredients, I don't know how beneficial that ingredient is. Applying the puree consistency onto my entire face, keeping away from my eye area and I allow it to sit for about 15 minutes. Upon application there was a lot of tingling sensations happening, nothing unbearable but I did worry if there would be any irritation once I'd rinsed it off, there is a slight pumpkin scent to this mask. Rinsing off after 15 minutes, my skin has no irritation but it certainly looked brighter, felt a touch smoother. I probably wouldn't use this all the time as I do use a lot of AHAs / BHAs so I wouldn't go OTT but this is certainly one for when I've maybe not done so in a few days or a week and the skins looking dull for a boost. Would I repurchase, maybe so. It's not bad I'd just like to know more about what the ingredients are delivering in terms of percentage etc. 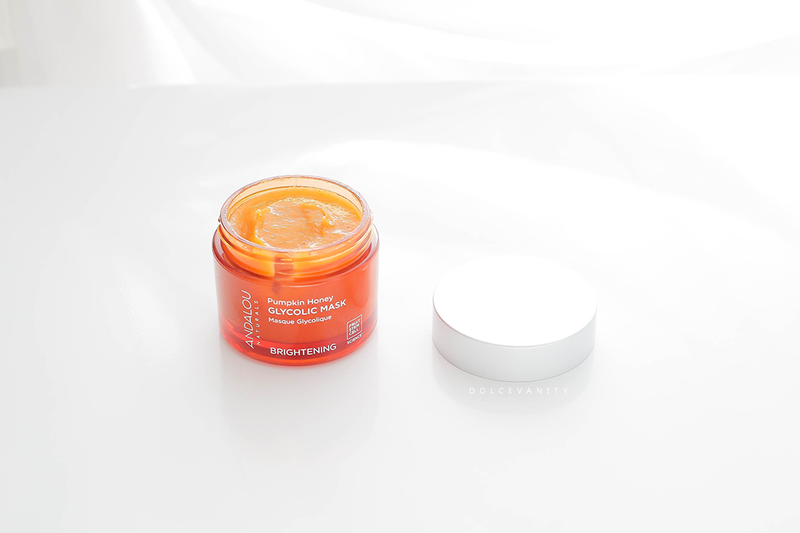 Have you tried this glycolic mask before? I've been sucked into PTR skincare products but have found a number of cheaper alternatives so it's good to see some dupes like this! I'm not a huge fan of glycolic acid (haven't done much for my skin) but this one sounds like i's worth checking out!